Heavy cardboard cover incl. polylined innersleeves Limited to 500 hand-numbered copies. 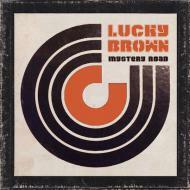 Mystery Road will reinforce and further expand Lucky Brown´s oisition in comparison with his deep-funk competitors.